I’ve been “so hoppy” to hear the spring peepers recently as the evenings have been nice and warm. It’s one of my favorite parts of spring here in the country. I skipped out of the office yesterday to take advantage of the gorgeous spring day and went for a quick ride on the Kettle Moraine State Trails. And because you need to learn something everyday, here are interesting facts from the Farmer’s Almanac. 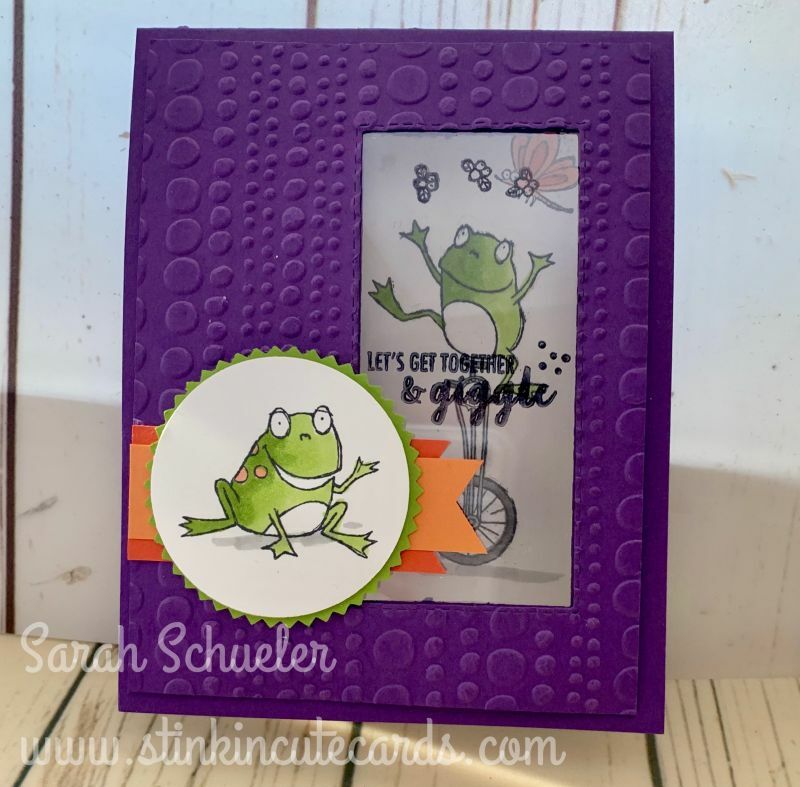 And because it IS a stamping blog and not the Nature Channel, I wanted to share a sweet little card that we recently did for my Take Three Class. It was a fun fold. I’m calling it a Peek-a-Boo Window card. We used some of the past Sale-a-bration Stamp Sets, So Hoppy Together and the Part of My Story. I’ll add a link to the tutorial video below and you can check it out for tips and tricks. Make sure that you leave a comment, a thumbs up and subscribe to my You-Tube channel. Every view and interaction help me build my business and helps ensure that I can be YOUR Stamipin’ Up! demo for years to come and I’m so thankful for that because I LOVE what I do..